We recently carried out a job for a renewable energy company based in Driffield, East Yorkshire, who enlisted our help in reaching the site where they were to install a new wind turbine. With the installation area being rather remote, we were called in to lay a temporary road to allow them access to the site. The weather on the day was incredibly windy – it was a shame the turbine wasn’t up yet! It was so windy, in fact, that we thought the job may have to be postponed. However, it all went ahead but with a slight delay to the original plan. We used over 70m of Trackway on this project, which is 28 panels from the main road to the turbine site. 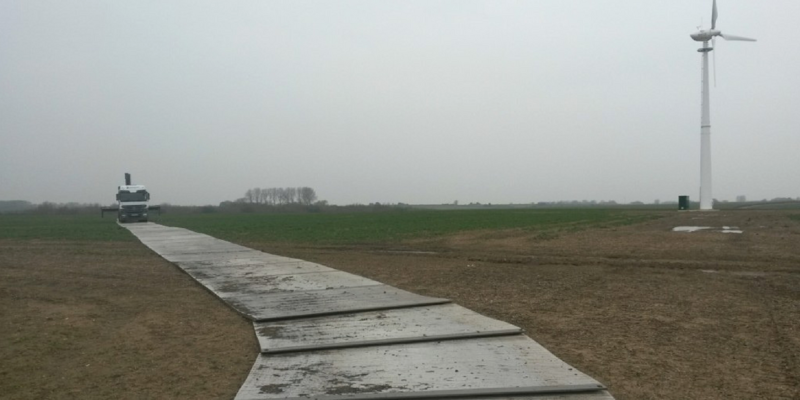 Wind turbines typically take around a week to install, subject to the weather of course, and we usually install the Trackway 1-2 days before they want to start work and then 1-2 days to collect once the job is complete. When the lads went to collect the trackway after the hire, it was hail stoning horizontally, so they were freezing and very pleased to get the job done! There are certainly good and bad points to being a Trackway installer, usually weather related. This was the second job we’ve done for this customer this month, with the first one being at a site in York, and they are very happy with our service. 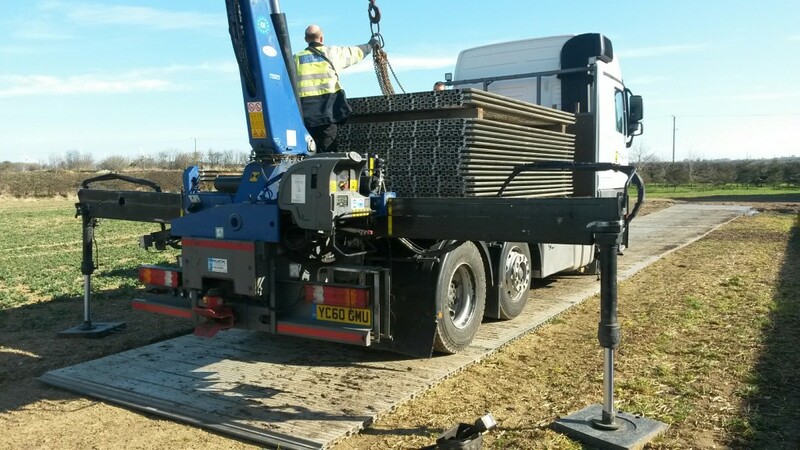 Having worked with this particular company for the last 3 years or so, the Trackway Solutions team are always eager to uphold our good working relationship.